Please note, we are unable to make cancellations after we have started the shipment process. You will receive email confirmation at the time you place your order with your purchase details. If you checked out as a guest feel free to call or text 888.982.8800 or email us at [email protected] to check the status of your order. 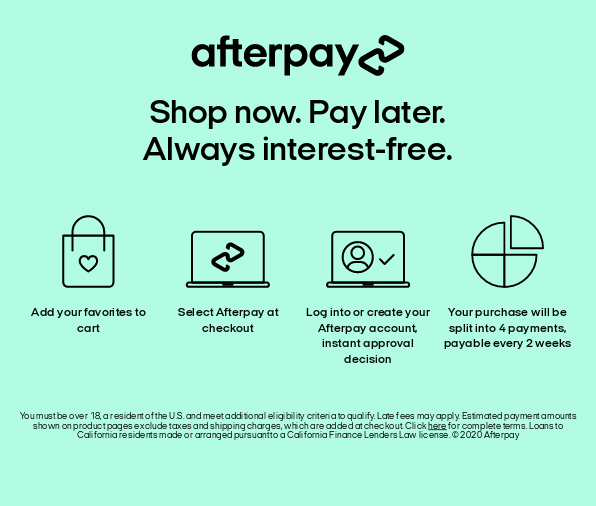 We accept Visa, MasterCard, American Express, Discover, Amazon Pay, PayPal, Afterpay, Apple Pay and loefflerrandall.com issued gift cards, store credit and coupons. If you are having difficulty processing payment, please open a service ticket here or call us at 888.982.8800. To view shipping options and rates for a particular address, please add desired items to your shopping bag and begin the checkout process. Once an item is added to your shopping bag, select to checkout and enter your code in the field marked "discount code." Discount codes cannot be combined. Discount codes cannot be used on sale items. All terms, conditions and policies - including our return policy - still apply to orders in which a discount code has been applied. In case of a return, only the amount charged to a credit card or gift card are refundable. We work hard to maintain accurate pricing on our website, however errors may occasionally occur. In that situation, you will have the option of either canceling that item, or confirming your purchase of the item at the correct price. Prices displayed on the website are exclusive of any sales taxes. For domestic orders, US Sales tax will only be charged on orders shipped within the state of New York. Taxes are calculated at the time of checkout by zip code. Sales tax is not charged when purchasing a gift card.